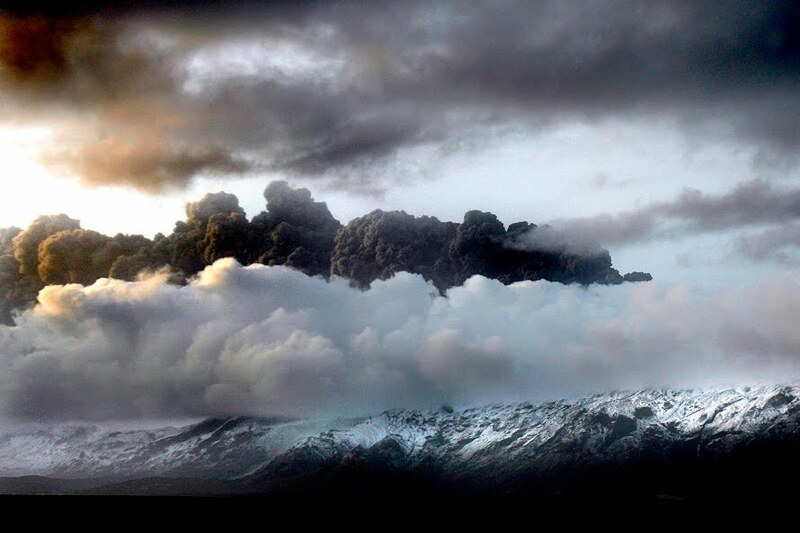 The chaos caused by the eruption of Iceland’s Eyjafjallajokull volcano, which has covered much of northern and western Europe in a plane-threatening cloud of ash, has affected millions of travellers. 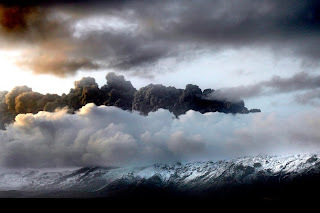 If you or your loved ones are among them, you might be gnashing your teeth at the prospect of delayed or cancelled flights for months ahead (if the volcano manages to blow its top again). However, if you take a moment to breathe and drink in the situation, you might find the travel opportunity of a lifetime. All bets are off, as the entire aviation industry across Europe has ground to a halt. This can be exhilarating: no matter what you do, you’ll have to get creative. Have to be in London tomorrow for that conference? Forget it. There’s nothing you can do about it – unless you embrace the freedom and start thinking about how to make the most of your time. If you’re affected by the volcano, you’re probably in one of three situations: stuck in Europe, stuck at home waiting to go to (or through) Europe or (worst of all) stuck in an airport/transit hub. Let’s deal with the last situation first. Airports are no fun during the best of times. When populated by tired, overwhelmed folks who can’t find a hotel room and don’t know when they might possibly escape, they can become nightmarish vortices. Stay cool. First of all, if you’re lucky, you might find yourself in one of the world’s best airports. If this is the case, you’re home free: these airports are virtual villages unto themselves, and you’ll be able to spend hours (or days) exploring the shops, relaxing in the bars and indulging in free city tours. On the flip side, you may be experiencing the horror of the world’s worst airports. These temples to drudgery, bureaucracy and life-sapping apathy may drive you to the brink – especially if you have children in tow. Luckily, you have options. If leaving the airport is an option, you can use the destination information on this website (or download PDF chapters from our online Shop) to explore the surrounding area. It could be the secret vacation you always dreamed of, especially if you use the time to get to know a place. If you must stick around, you might as well make the most of your time. Check out US travel editor Robert Reid’s guide to making friends at airports. There’s even a video of him in action at Phoenix’s Sky Harbor – a notorious nonfriendly zone. Getting desperate? You can always recreate the plot of the 1963 film The VIPs, in which Liz Taylor and her friends engage in romantic scandal and machinations while fogged in at ‘London Airport’. And you can always console yourself with a reminder that you’re not experiencing the horror of blogger A Lady in London, who was trapped in Bamako, Mali, for several days. And if all else fails, you might declare a passenger strike. If home is outside Europe, then you have a ton of options. If you’re travelling for business, you can probably breathe a sigh of relief: a teleconference will have to do. But if you’re missing your vacation, you need to act quickly in order not to lose precious holiday time. First, call your insurance company and get a refund on any expenses you’ve already paid. Most insurance companies are paying up. Next, figure out an alternative destination. If you’re in the USA, it’s springtime – a fantastic time of year to head to the beach or the cities. International hubs such as San Francisco and New York may be overflowing with transit traffic, but top tourist destinations like Las Vegas are a sweet deal. You can still have all the fun of your European holiday, and save some cash while you’re at it. If you’re travelling with the family, don’t forget that it’s prime national-park season too! Grab one of our national park or wildlife guides and plan yourself another kind of adventure. If you’re in Asia, Africa or South America, it’s low season across a lot of countries – which means cheap airfares. Stop lining up for those European flights, which may never eventuate, and start looking for alternative deals. The cruisy cultures of the Southern Hemisphere might be a boon for you if you’re stuck in Australia or New Zealand, where hospitality is the norm. Take, for example, Stranded in New Zealand, a Facebook group set up for NZ locals to help tourists out with accommodation. If you’re in Europe and your home is nearby, you have a variety of options. Although trains and buses are filling up, you can still travel over land to almost any destination on the continent. The Thorn Tree forum also has information on getting the best train deals if you’re in the UK. However, those who are far from home and need to wait it out might consider an extended European stay. Europe’s small size and cheek-by-jowl country lineup makes for a fascinating experience – if you can spare a few days. You may also consider just waiting for the dust to settle by travelling by bus, car or rail through the classic Grand Tour route (France, Germany, Italy and Austria).